1) Most of the big tournaments have been played, the pressure of competitive golf is winding down. Making changes to your game won’t negatively affect how you play in these important events. 2) If you can work out some of your main golf issues in the fall, you’ll be more confident walking onto the course in the Spring. We all know how important the mental aspect of golf is. 3) The level of your golf game has been established over the summer, so you have a really good idea of what facets of your game needs work. Focus on those areas and create good habits for Spring. 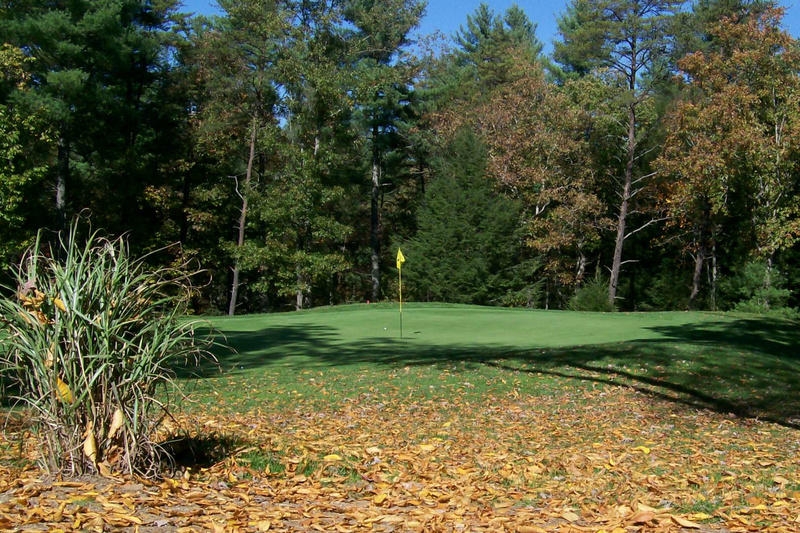 We have a full golf practice facility to work on your entire game! Hope to see you soon, keep swinging! 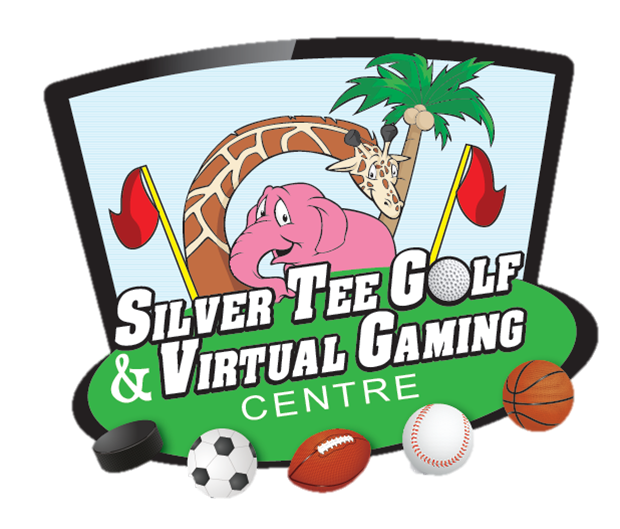 At Silver Tee and Virtual Gaming Centre, it’s easy to commit to improving your golf game. Even practicing your game an extra hour a week will help shave strokes off your score. It’s true that when we golf better, we more we enjoy the game, and isn’t that what we all want? So what are you waiting for? Getting practicing today! 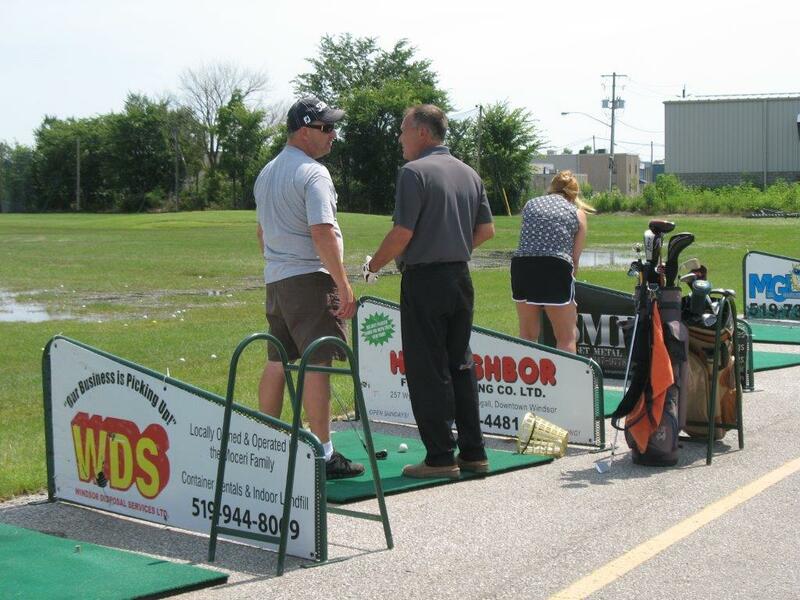 To commit to working on improving your golf, consider purchasing a money saving driving range membership. Also this summer we’re offering half priced simulators for indoor golf – you can practice for an hour for about $18. To take your game to the next level, book a private, semi-private or group lesson with one of our golf professionals. It’s amazing where they can see areas of easy improvement. All golfers want to play better, but often they don’t know where to begin. When it comes to practice, you’ll benefit by having a plan. As example, if you play once a week, it’s a great idea to practice for one hour a week. Choose one aspect of your game to work on each time you practice. It’s not just about bombing a long one with your driver, if your average score is 90, using your driver only accounts for about 16% of the round! 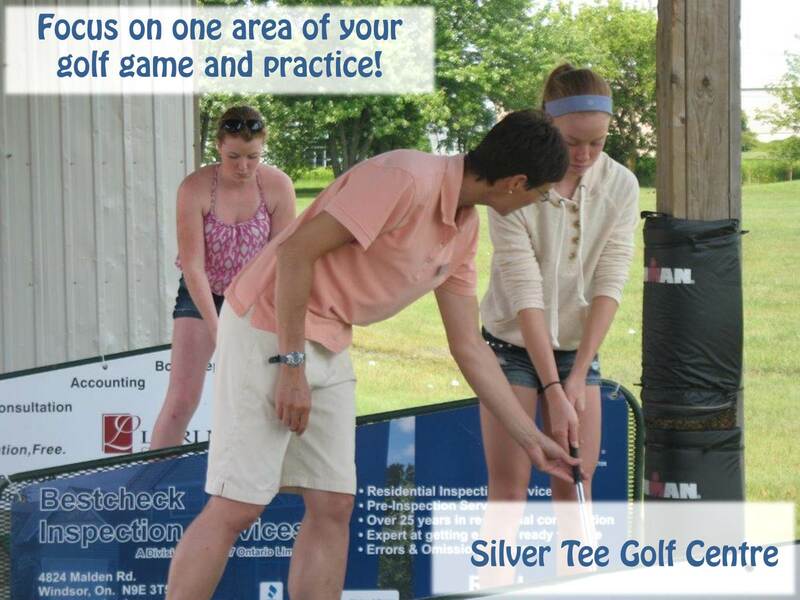 Of course you can work on all aspects of your game at Silver Tee Golf Centre! If you’re looking to really ramp up your game, consider taking a golf lesson from one of our professional golf teachers. For more information, please call the ProShop at 519-966-4911. Do you ‘give’ putts? Do you play with golfers who regularly ask for ‘gimmies’? How about just making those short putts instead? Practice, practice, practice! Have you seen our series of video golf tips by CPGA Teaching Professional and Inductee of the Windsor Essex Sports Hall of Fame, Joye McAvoy? Joye offers simple and direct advice to help improve many aspects of your golf game. Please check out the playlist of available golf video tips. Putting can amount to about half of your golf score – are you spending the proper amount of time working on that aspect of your game? Our practice facility has a putting green to help you shave off those short strokes! Try this: Keep track of your putts for the next two weeks, then spend two weeks allocating half of your practice time to putting and see those strokes disappear. Be sure to let us know how it worked for you! Do You Hook The Ball? Do you hook the ball? CPGA Teaching Professional Joye McAvoy offers some advice on how to avoid this common problem.